Matthew Gregory Kuchar was born on the 21st June 1978, in Winter Park, Florida USA, of Ukrainian ancestry, and is a professional golfer, who has been competing on the PGA tour since 2000, and so far has seven wins and also 80 top ten finishes, which have been the main source of his net worth. 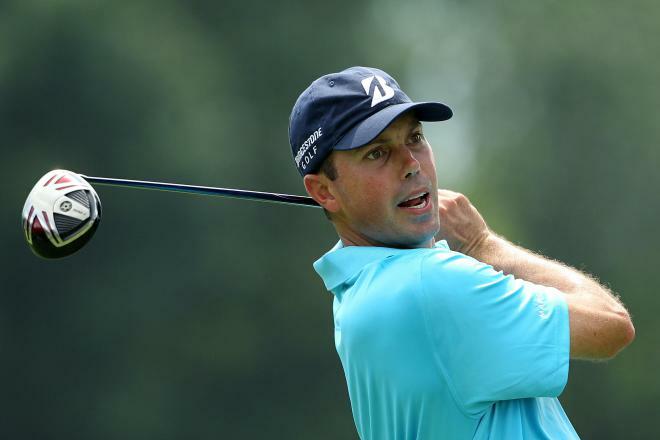 Have you ever wondered how rich Matt Kuchar is, as of mid-2016? 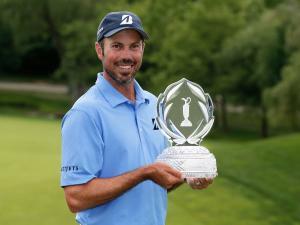 According to sources, it has been estimated that Matt Kuchar`s net worth is as high as $20 million, an amount he has acquired through his successful career as a professional golf player. Matt’s parents are Ukrainian; he attended school in Sanford, Florida, Seminole High School, and following matriculation he enrolled at Georgia Tech, where his golf-playing career began. He was a part of the university team, and was named into the All-American team twice. He won the US Amateur championship in 1997, the year before having lost to Tiger Woods. The following year he won the Haskins award, and two years later, after graduating with a degree in management, Matt decided to turn pro. He was late for the 2000 season on the PGA tour, as he previously worked for a financial firm, and missed-out the date. Nevertheless, thanks to sponsors, he participated in several events on the PGA tour in 2001, and managed to earn enough money in order to participate the next season. Then came his first victory, at the Honda Classic, which increased his net worth by a large margin. However, his career took a turn for the worse, which resulted in him losing his PGA tour card in 2005, and so competed in the Nationwide Tour in 2006. That year he won the Henrico County Open, which brought him back to the PGA Tour for the 2007 season. His next victory on the tour came in 2009, at the Turning Stone Resort Championship by besting golfer Vaughn Taylor, which only added further to his net worth. The following year he also won one tournament, The Barclays, held at the Ridgewood Country Club in Paramus, New Jersey, increasing his net worth. Two years later, came his biggest win so far in his career, winning The Players Championship at TPC Sawgrass in Ponte Vedra Beach, Florida, which increased his net worth to a large degree. In 2013, Matt`s net worth became higher as he won two events, the first being the WGC-Accenture Match Play Championship, and the second at the Memorial Tournament, held at Muirfield Village Golf Club in Dublin, Ohio. His last win on the tour was in 2014, at the RBC Heritage, which also added a substantial amount to his net worth. 2015 year wasn`t quite so good for him, as he didn`t win an event, but still had seven top ten finishes; in his career he has had 80 top ten finishes. During his career, he has earned over $30 million as a prize money from tournaments. He finished the 2010 season as the leading money winner on tour, and the same year he won the Vardon Trophy and Byron Nelson award. Regarding his personal life, Matt has been married to Sybi Parker since 2003, with whom he has two children. They live on St Simon’s Island, Georgia.